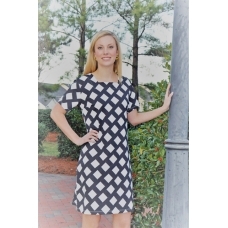 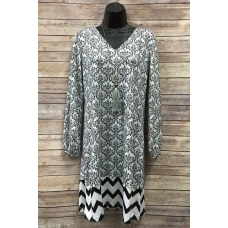 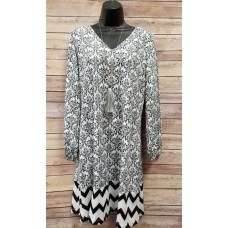 This Erma's black and white Demask V-neck long sleeve dress w/ Chevron bottom is great for work or p..
You are sure to love this Erma's Closet Black & White Print Tunic with White Trim. 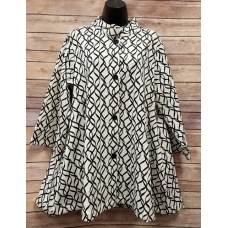 Th..
You are sure to get tons of compliments in this Erma's Closet Black & White Gathered Neck top.&n.. 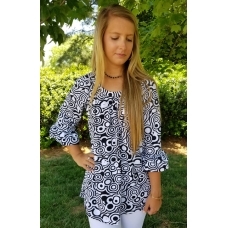 This Erma's Closet Black and Cream Circle Print Key Hole Dress has ruffle sleeves and is fun f.. 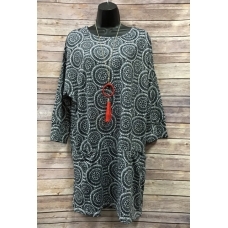 This Ermas Closet Black and Grey Medallion Print Dress has front pockets! 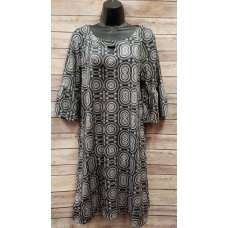 90% Poly / 10% Spand..
What a fun and funky Erma's Closet Black and Lime Pucci Print Key Hole Dress. 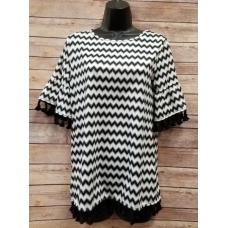 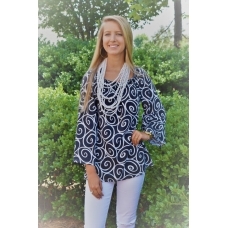 Such a great loo..
You are sure to get tons of compliments in this Erma's Closet Black and White Chevron Top with ..
You are sure to love this Erma's Closet Black and White Circle Print Tunic with double ruffle s.. 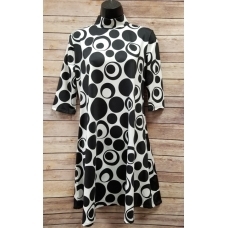 This Erma's Closet Black and White Circles Mock Neck Dress is fun for Summer! 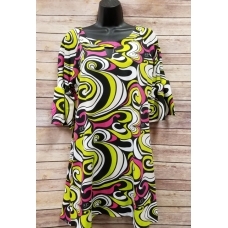 90% Polyest..
What a great dress for day or night. 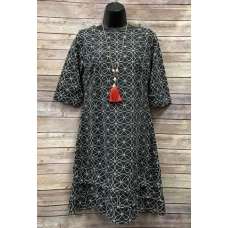 This Erma's Closet Black and White Damask Long Sleev..
Everyone needs a little trendy black dress and you are sure to love this Erma's Closet Black an..
You are going to love this precious babydoll dress by Erma's Closet. 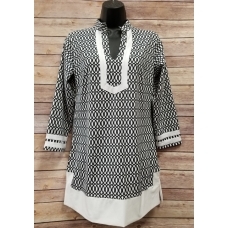 The black and white geo p..
Classic black and white print is always in style and this Erma's Closet Black and White Geometr.. 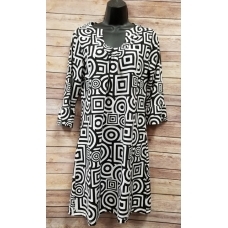 This Ermas Closet Black and White Interlocking Circle Carwash Dress is great for Spring and Summer!&..